Weymouth (pop. 45,000) is a colourful little seasisde town. It started its history long ago as a port. 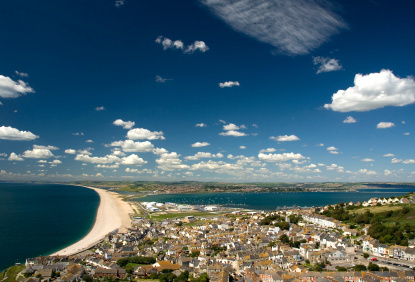 Weymouth is thought to be the place where the plague entered England in 1348. It developed as coastal resort in 1789 and the Georgian Esplanade dates from this period. Few are the remains from the pre-Georgian era, but a Tudor House from 1600 survives and can be visited (open Tue-Fri 11am-3:45pm from June to September, or 2pm to 4pm on 1st Sunday of the month the rest of the year). The Nothe Fort, was built in the 19th century on a penisula between Weymouth and Portland to protect the two harbours. 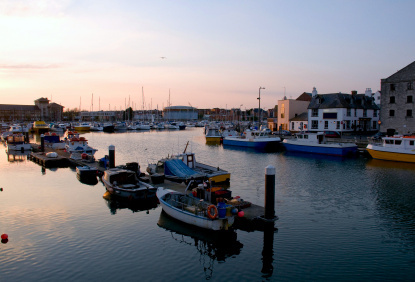 Among Weymouth's modern attractions is one of the UK's six Sea Life Park. It is a highly rated aquarium with sharks, rays, Japanese spider crabs, otters, seals and penguins. The Deep Sea Adventure (open 9:30am to 7pm, until 8pm in July & August; entry adults £3.75, children £2.75) features both a museum of underwater exploration since the 17th century, and a display retracing the tragic story of the Titanic. Whatever the charm of Weymouth as a beach resort, few tourists to England, let alone Dorset, would want to miss one of the country's great natural wonders, the white chalk cliffs of the Jurassic Coast. This stretch of romantic scenery runs for 150 km (95 mi.) from Orcombe Point near Exmouth in East Devon to Old Harry Rocks near Swanage in East Dorset, passing through Lyme Regis and Weymouth. 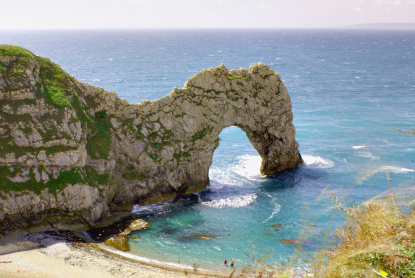 The Jurassic Coast was the second wholly-natural World Heritage Site to be designated in the United Kingdom (in 2001). 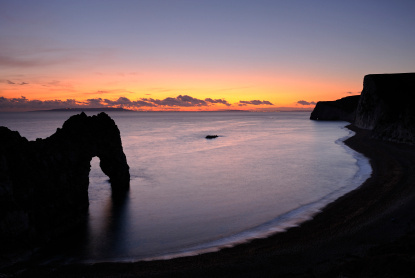 The highlight of the coast is Durdle Door, an extremely picturesque natural limestone arch battered by the sea. It is situated some 15 km (10 mi.) east of Weymouth, near the village of Lulworth. 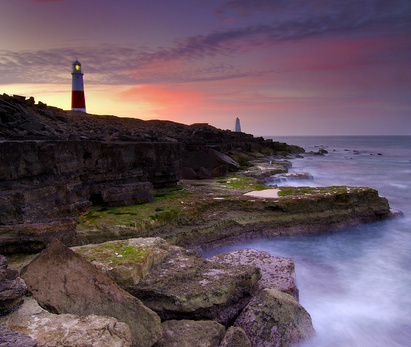 Portland Bill, on southerly part of Isle of Portland, is another scenic points close to Weymouth. 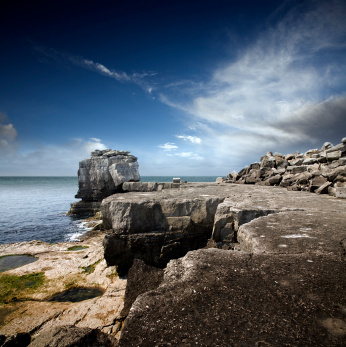 The two famous vistas are the lighthouse (now used as a bird observatory) and the Pulpit Rock, a natural stone promontory with a huge rock hanging over the sea. Trains run between Weymouth and London Waterloo (2h45min, £31), Dorchester (12min, £2.60), Bournemouth (1h, £10.10), Southampton (1h40min, £15.90) and Bath (2h, £11.20).